Should The U.S. Unleash Killer Robots In Iraq? Iraqi Prime Minister Nouri al-Maliki has asked the U.S. to deploy Predator and Reaper drones against Islamic State in Iraq and Syria (ISIS) fighters. And, today, Secretary of State John Kerry has confirmed that drones are definitely an option. But would they really make any difference? Patrick Tucker, the technology editor at Defense One, spoke with various experts about the pros and cons of this policy. On the pro side, it would allow the White House to take immediate military action without incurring American causalities and raising concerns that U.S. is about to be mired in a bloody civil war. It would also buy time for the U.S. to implement long-term options, such as new weapons and expanded training for Iraqi and Kurdish forces. And, there would be political benefits for Iraq's besieged prime minister. "With a drone overhead, Maliki can credibly claim to the Iraqi people (and others in the region like Iran) that he didn't allow any U.S. boots on the ground or U.S. persons in his country," says Sam Brannen, a senior fellow with the Center for Strategic International Studies. "It's a flying robot, after all." "We do not have good intelligence about what is going on the ground; it would be hard to identify the right targets. We don't have human intelligence assets or troops available to help guide them tactically. Third, we could hit civilians or friendly forces, giving ISIS a huge propaganda coup that would be worse than no U.S. intervention at all," says Audrey Kurth Cronin, the director of Center for Security Policy Studies for George Mason University. "The key problem that Iraqi military forces are facing is one of internal political cohesion. Reports from Iraq indicate that the ISIS offensive is not due to them defeating Iraqi military units in combat, but rather to Iraqi military units melting away. 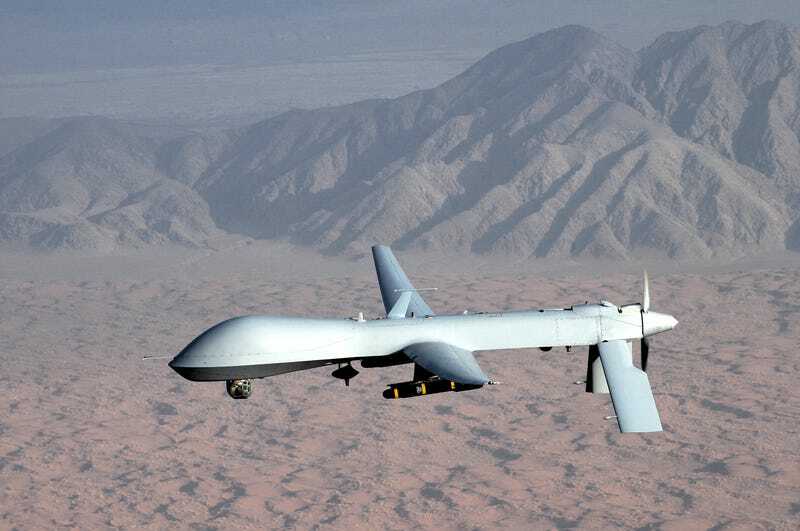 Unmanned aircraft won't change that," says Paul Scharre at the Center for a New American Security.